On June 30, 2018, LCSO Deputies were able to locate and recover three children who had been the subject of an Amber Alert. The recovery was made possible with the help of a concerned motorist. The Alert had been issued for the children who were last seen in Volusia County, Florida. Saturday morning a motorist called the LCSO Communications Center to report seeing a vehicle similar to the white 2010 Suzuki Grand Vitara that was specified in the Alert. The motorist reported that the vehicle was traveling east through the Town of Bronson on U.S. Alternate 27. The motorist was only able to provide a partial license plate number. Deputies Mike Sinclair and Ryan Sullivan were dispatched to the area in an attempt to locate the vehicle. The deputies spotted the vehicle on 27 outside of Bronson. At approximately 9:00 A.M. they initiated a traffic stop on the vehicle. During the traffic stop the deputies confirmed that it was the correct vehicle and the missing children were inside. Personnel from the Levy County Department of Public Safety responded to the scene and checked the welfare of the children. None of the children required hospitalization, and the LCSO Victim Advocate took custody of the children to facilitate reunification with their mother. The driver, Venita Porter-Carter, was detained for further evaluation. LCSO is happy to play a part in the successful resolution of this case. It demonstrates the importance of citizen involvement in the law enforcement mission. During the late morning hours of June 26, 2018, multiple agencies responded to a residential burglary in progress in the 170th block of Old Fanning Grade. A homeowner returned home to find an unknown white male subject removing firearms from the home. The burglar escaped on foot. 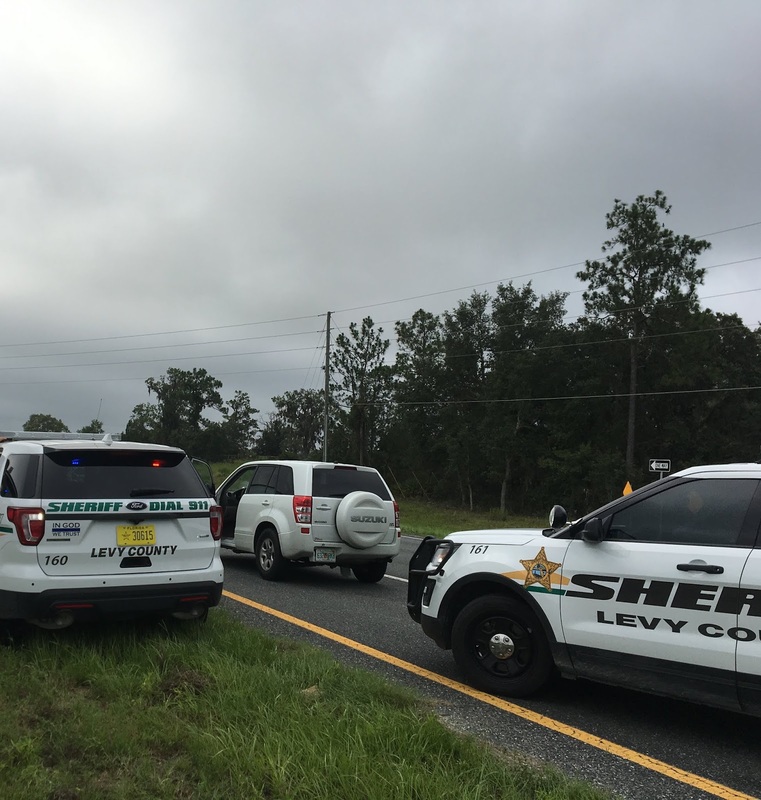 Personnel from the Gilchrist County Sheriff’s Office, Florida Highway Patrol, Cross City Correctional Institution, Mayo Correctional Institution and Florida Fish and Wildlife Commission responded to assist LCSO in the search for the suspect. 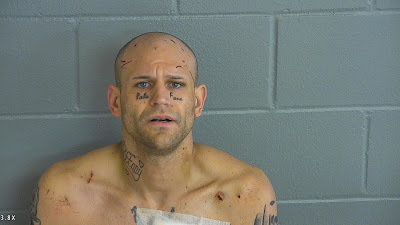 After tracking the suspect with multiple K-9s, officers were able to determine that the suspect had committed two residential burglaries, two vehicle burglaries, and he stole one pickup truck. The suspect was able to steal multiple firearms, electronic equipment and a cellular phone. The suspect evaded capture that day, but his freedom was short-lived. LCSO deputies, with the assistance of cooperating agencies, made these cases their top priority. Using forensic evidence recovered at the crime scenes as well as follow up witness interviews and other investigative methods, LCSO investigators developed Matthew Schrader (7-1-93) as the suspect in these cases. The Alachua County Sheriff’s Office was instrumental in providing timely processing of the forensic evidence. Schrader has multiple prior felony convictions. In April of 2018, he was placed on Drug Offender Probation in the Circuit Court for Levy County. In May of 2018, two arrest warrants for Violation of Probation were issued from Levy County. On June 27, 2018, Acting Circuit Judge Sheree Lancaster issued two new arrest warrants for the crimes committed the previous day. Schrader is facing multiple counts of Armed Burglary, Grand Theft and Possession of a Firearm by a Convicted Felon. Schrader also faces one count of Criminal Mischief for damage done at one of the residences. The combined bonds on the two warrants were set at $2.6 million. 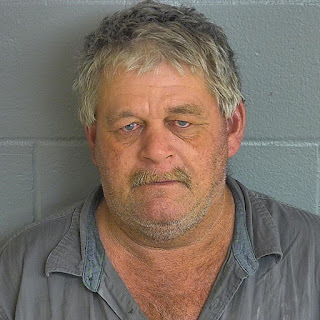 Later on June 27th deputies from the Gilchrist County Sheriff’s Office and LCSO located Schrader in Gilchrist County and arrested him on the Violation of Probation Warrants. 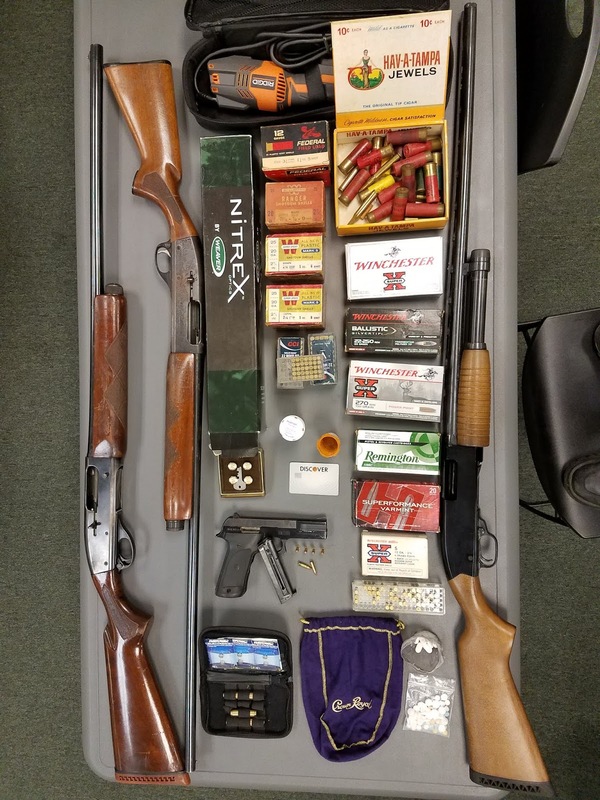 Deputies continued their investigation and were eventually able to recover all of the firearms and the vehicle that had been stolen in the crime spree. On June 28, 2018 Schrader was transferred to the Levy County Detention Center and will receive his first appearance on June 29, 2018. This investigation is continuing and investigators believe that additional crimes will be solved. Investigators are requesting anyone who may have information about these crimes to call LCSO at 352-486-5111. Should callers wish to remain anonymous, please call Crime Stoppers at 1-877-349-8477. On June 22, 2018, Investigators from the Levy County Sheriff’s Office arrested Jonathan Wayne Brotherton (10-21-83) on multiple counts related to theft and dealing in stolen property. 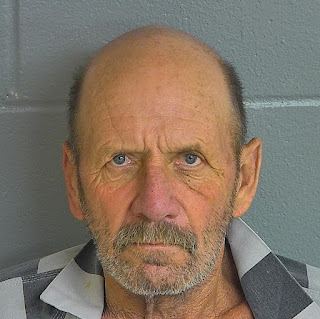 The investigation revealed that Brotherton and another family member had befriended an elderly neighbor (83 years old) in the northeastern part of Levy County. The elderly victim gave Brotherton access to their residence for the purpose of doing laundry and even loaned several thousand dollars in cash to Brotherton. The victim went out of town for an extended period. Upon the victims return it was discovered that thousands of dollars in jewelry and cash had been stolen from the residence. LCSO investigators were able to locate a small amount of the jewelry at multiple pawn shops. Through follow up investigation, LCSO was able to establish Brotherton as a suspect and ultimately developed probable cause to arrest him for the crimes. When investigators went to arrest Brotherton, he attempted to conceal himself in his residence and had to be forcibly taken into custody. 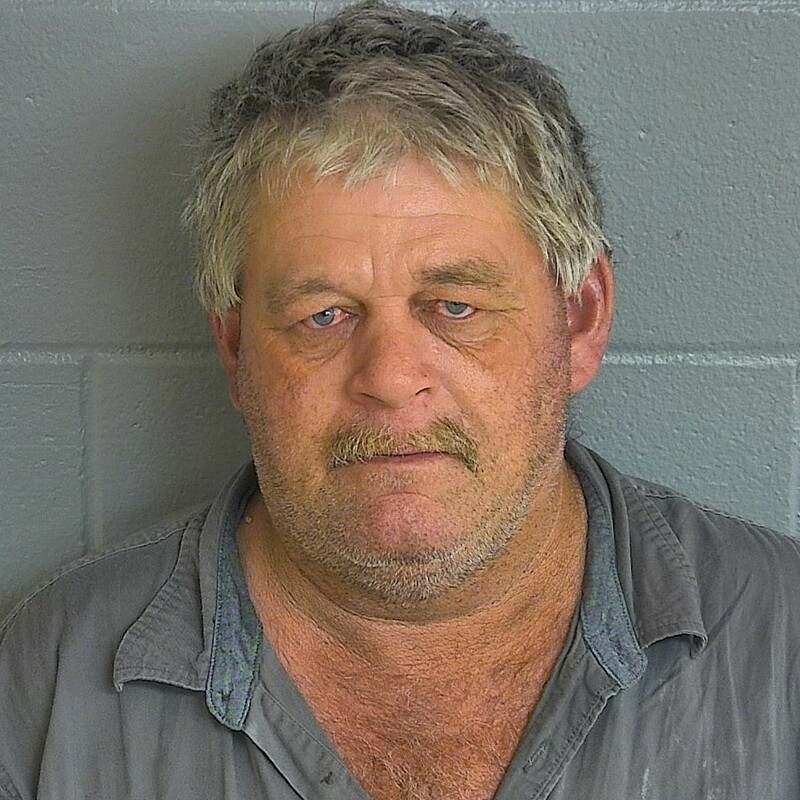 Brotherton has been charged with three counts each of Dealing in Stolen Property and Giving False Information to a Pawn Broker. He is also charged with Grand Theft and Resisting an Officer Without Violence. He is being held at the Levy County Detention Center on a total bond of $180,000.00. Evidence gathered in the case indicates that Brotherton committed the crimes to support his addiction to Methamphetamine and possibly other drugs. LCSO encourages citizens to remain vigilant when choosing to help those who claim to be in need. A criminal background check can be obtained from the Florida Department of Law Enforcement’s website for a small fee. LCSO also has Crime Prevention Deputies that are available for consultation by calling 352-486-5111. Multiple agencies responded to a burglary in progress in the Fanning Springs area this morning. A homeowner returned home to find an unknown white male subject removing firearms from the home. The burglar escaped on foot. 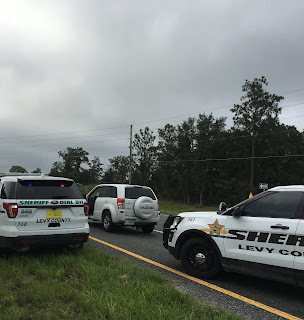 Personnel from the Gilchrist County Sheriff’s Office, Florida Highway Patrol, Cross City Correctional Institution, Mayo Correctional Institution and Florida Fish and Wildlife Commission responded to assist LCSO in the search for the suspect. After tracking the suspect with multiple K-9s, officers were able to determine that the suspect had committed two residential burglaries, two vehicle burglaries and he stole one pickup truck. LCSO needs the assistance of the public in locating the stolen 1991 Ford F-150 bearing Florida tag: Y33UPA. The vehicle is tan and blue in color. A photo is provided of a similar vehicle. Citizens should be cautious if they come in contact with the suspect or vehicle because multiple firearms were stolen during the crime spree. It is possible that additional crimes and victims may be discovered. Investigators are requesting anyone who may have information about these crimes to call LCSO at 352-486-5111. Should callers wish to remain anonymous, please call Crime Stoppers at 1-877-349-8477. Local businesses in the Town of Bronson noticed small items disappearing in the recent past. These thefts, albeit small, were concerning enough the business owners began filing complaints with the Sheriff’s Office. 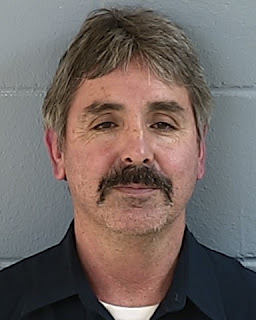 The common denominator appeared to be Danny Wells (12-29-55), a well-known Bronson man, who was often was seen in the general area where the thefts were occurring. Wells is known locally as "Danny B". The owner of Chantilly Place reported the theft of a vacuum cleaner taken from the back porch of the business. The owner told deputies she suspected Wells may have taken it. A witness reported seeing Wells in front of the County Seat Barber Shop with a vacuum plugged into the wall. 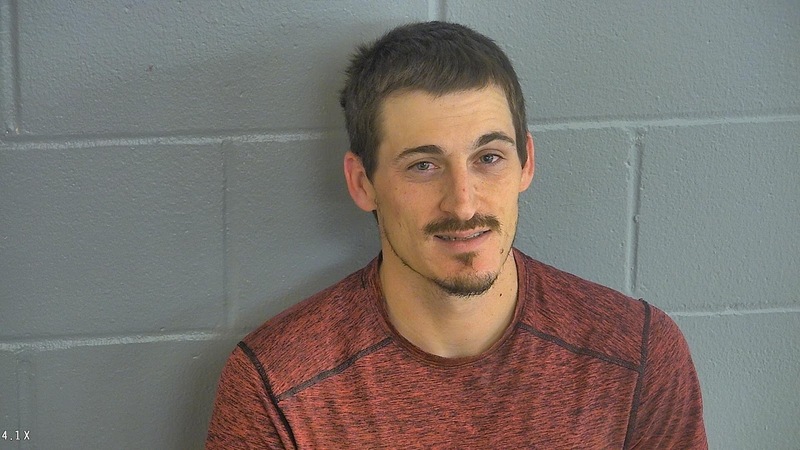 Deputies responded to a location behind the Post Office to speak to Wells about the recent theft complaint filed on June 7, 2018. Wells was confronted and confessed to the theft. He also told deputies where he had taken the vacuum cleaner. Deputies were able to recover and return the vacuum to the rightful owner. Wells was arrested and charged with burglary of an unoccupied structure and felony petit theft. Wells has two prior convictions for petit theft, thus enhancing this most recent charge to a felony offense. On June 20, 2018 the Levy County Sheriff’s Office Drug Task Force (DTF) executed a search warrant at 14131 NW 77 Avenue Trenton, Levy County, Florida. DTF Investigators developed information that Todd McMillan (12-6-64) owned the home and was selling narcotics from there. DTF and members of the Tactical Response Unit (TRU) entered the home and detained McMillan along with two other female occupants of the home. A search of the home found methamphetamines, marijuana and two firearms. 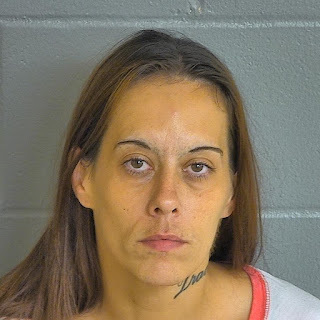 McMillan was arrested and has been charged with possession of methamphetamine, possession of marijuana, possession of drug paraphernalia and maintaining a drug dwelling. He will be formally advised of his charges and a bond set at $91,000.00. Kelly Colson (5-24-84) was found by TRU members hiding in a back bedroom. She was searched after being detained and found to be in possession of drugs and drug paraphernalia. She was arrested and charged with two counts of possession of a controlled substance without a prescription (Dilaudid and Clonazepam), possession of marijuana and possession of drug paraphernalia. She will be formally advised of her charges and a bond set at $37,000.00. Dohyahl Adams (12-26-75) was found by TRU members in a guest bedroom and detained. 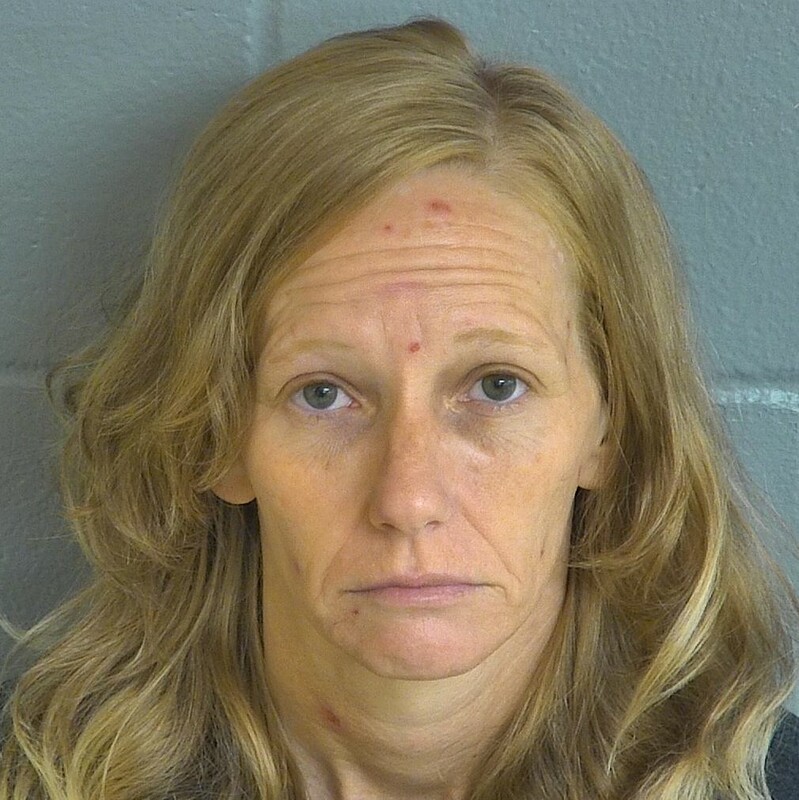 She was searched and investigators found she was in possession of methamphetamine and drug paraphernalia. She was arrested and charged with possession of methamphetamines and possession of drug paraphernalia. Adams also had an outstanding warrant for violation of probation from the original charge of dealing in stolen property. She will be formally advised of her charges and a bond set at $31,000.00 for the new filed charges and no bond for the warrant. The continued and tireless works performed by the Sheriff’s Office DTF Investigators are taking dangerous drugs, dangerous people and guns off our streets. Sheriff McCallum said this is yet another excellent example of how far the criminal elements that live among us are willing to go to protect their illegal trade. I am thankful our deputies were not injured; this is always one of our primary concerns. 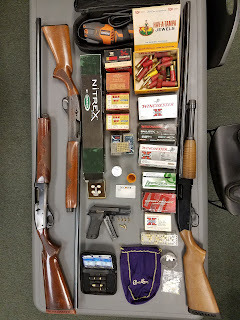 Our deputies used exceptional planning to execute this search warrant which led to three people who were committing crimes to be taken into custody without injury to anyone involved. On June 16, 2018 shortly after midnight, Levy County Deputies responded to 1951 SE 119 Avenue in Morriston, Florida to a domestic dispute. The caller told 911 dispatchers her husband pointed a gun at her during an argument. Deputies arrived and spoke to the wife in the front yard of the home. She explained that her husband, Luis Duran (10-9-61), had been drinking at a local bar and when they returned home they began arguing. Luis Duran brandished a gun, pointed it at her and threatened to shoot her and then himself. She was able to escape from the home and call law enforcement. Deputies attempted to negotiate with Duran, who had barricaded himself inside. He would not respond to PA announcements, phone calls or any request to surrender. The Tactical Response Unit (TRU) responded to the home and after hours of attempts to contact Duran decided to enter. TRU members were uncertain if Duran had already injured himself. Deputies on the scene were aware Duran had been arrested in 2013 for a very similar act during which he fired a gun. TRU members located Duran lying on his bed in the master bedroom. He was seen by law enforcement pointing a handgun at his own head. TRU members began speaking to him and ordering him to throw the gun away and surrender. Duran, after only 45 seconds of deputies talking to him, shot himself. Duran was immediately treated on scene by EMS who had staged nearby. He did not survive his injuries. Sheriff McCallum said in today’s world the calls our deputies are responding to and the level of violence they have to confront is increasing at an alarming rate. This is extremely worrisome. This situation should have had a different ending. Mr. Duran could have surrendered and allowed us to help him. Our thoughts and prayers are with Mrs. Duran and their family in their time of need. The LCSO Victim Services Unit is working with the Duran family to ensure their needs are met. Clarence White (10/11/67) from Chiefland was arrested on September 3, 2017 by the Chiefland Police Department for aggravated battery and simple battery. This arrest stemmed from an investigation that was conducted after the victim called the police department to report having an argument with White over money. The arrest report states White initially slapped the victim in the face then pulled a knife and stabbed the victim in the upper thigh. 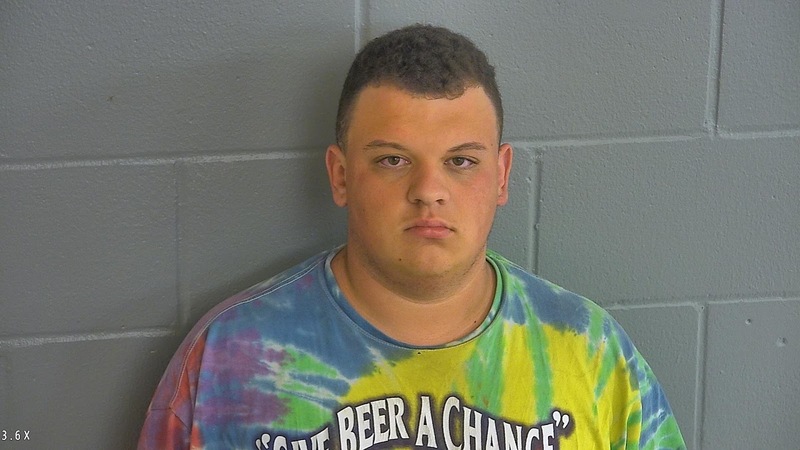 White was out on bond and confronted the victim at the Levy County Court House when he arrived for his scheduled court appearance on June 13, 2018. The June 13th arrest report from the LCSO documents White approached the victim in the hall outside of the court room. White and the victim had a brief discussion and White handed the victim a note. The victim delivered the note to the Assistant State Attorney after reading it. The note contained instructions and a written statement the victim was to read before the court which essentially changed the testimony, absolving White of criminal wrongdoing. White gave a statement to the LCSO investigating deputy and admitted to delivering this note to the victim and asking for the testimony to be changed. 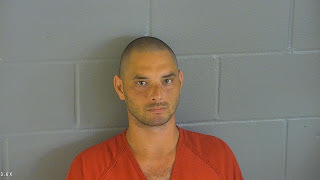 White was arrested and booked into the Levy County Detention Facility and is charged with tampering with a witness. His bond had been set at $100,000.00. Deputy Gary Garboski and his K-9 partner Molly work the streets of Levy County searching for drugs being transported in vehicles. This past weekend was no exception. Molly depends on her partner to stop the cars, but finding drugs in a vehicle is all up to her. She does the hard work and then makes Deputy Garboski finish the paperwork. Over this past weekend, Molly and Deputy Garboski made four drug arrests. Deputy Garboski conducted a traffic stop on Main Street in Chiefland. During the stop Molly gave Deputy Garboski her signal that she smelled drugs in the vehicle. Deputy Garboski arrested Ronald Fowler (2/22/89) for possession of methamphetamine and possession of drug paraphernalia. Christopher Lee (7/18/89), who was also in the same vehicle with Fowler, was found in possession of a misdemeanor amount of marijuana and issued a Notice To Appear in court. Deputy Garboski conducted a traffic stop on North Hathaway Avenue later in the evening in Bronson, and Molly found drugs in this vehicle, too. Nicholas Galloway (1/3/99) was arrested for possession of cocaine, possession of marijuana and possession of drug paraphernalia. Marie Blueford (10/1/98), a passenger in the vehicle, was issued a Notice To Appear in court for possession of drug paraphernalia. Sheriff McCallum vowed his dedication to arresting those who choose to transport, use or sell narcotics in Levy County. He outfits his men and women with the best equipment available. Special K-9’s, like Molly, are invaluable tools which help combat the use of narcotics in our county. This weekend’s arrests are typical, and we will continue the fight, using every tool available. The Levy County Sheriff’s Office (LCSO) formally filed charges on Carlton James Mathis (7-29-89) and booked him into jail. Mathis was released from the hospital yesterday afternoon after he received treatment for his injuries and was transported to the Levy County Detention Facility. 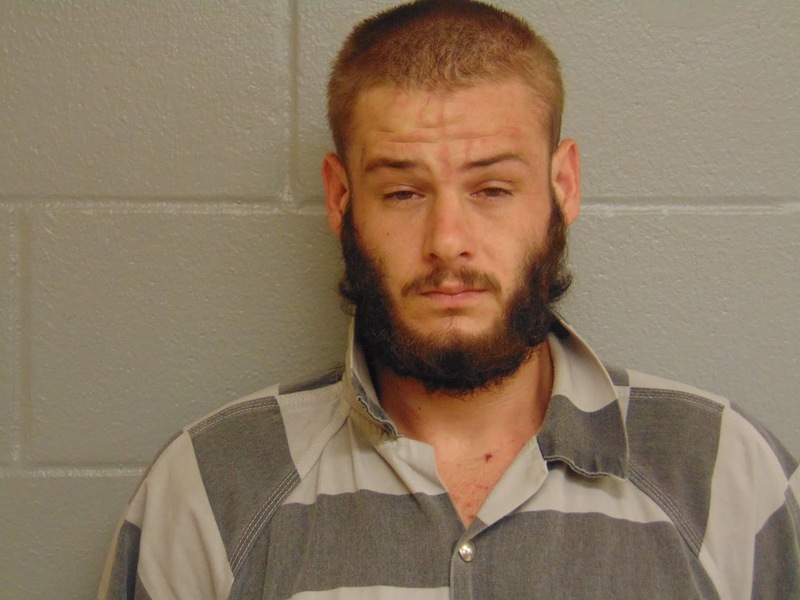 Mathis is suspected in the death of an infant in Alabama and was also wanted for violating his probation on a prior burglary case in Georgia. Mathis was stopped by LCSO deputies and Alachua County Sheriff’s Office SWAT members Monday, June 4, 2018, at the Bronson Villas in a vehicle he was riding in with Otis Johnson, Amanda Oakes and a 14 year old girl. Mathis brandished a firearm when confronted by law enforcement which ultimately ending in him being shot. The child and a deputy sustained minor injuries from shrapnel during the shooting. 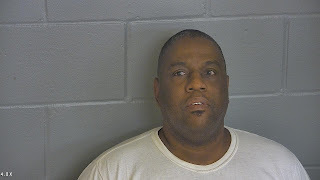 Mathis has been charged with aggravated assault with a firearm with the intent to commit a felony, possession of a firearm by a convicted felon, child neglect, possession of methamphetamine and possession of marijuana. Both of these drugs were found on his person at the time he was shot and taken to the hospital. Mathis had his first appearance in Levy County this morning and his bond has been set at $650,000.00. Additional charges were filed earlier today for trafficking in methamphetamines. This charge stems from a large stash of methamphetamine found in the vehicle on the evening he opposed law enforcement. Bond has not been set on this charge. Mathis will be held at the Levy County Detention Facility until these charges have been answered for in a Levy County Court. He will then be extradited to Alabama to face the homicide charges awaiting him there. Search Warrant Finds Drugs/Guns and Gummy Bears?